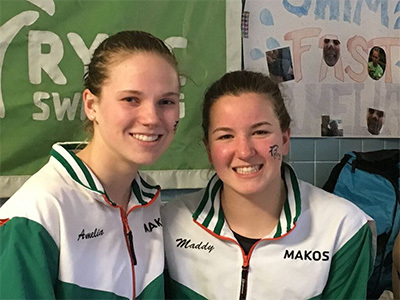 The Regional YMCA of Western Connecticut Mako Swim Team offers training and practice groups for swimmers of all ages and abilities. It is the goal of the RYWC Mako Swim Team to offer age specific training for all of our athletes geared towards challenging each individual and developing each individual to the best of THEIR abilities. Prospective swimmers please call the Front Desk at 203.775.4444 to schedule a tryout, or send us an email request for more information. 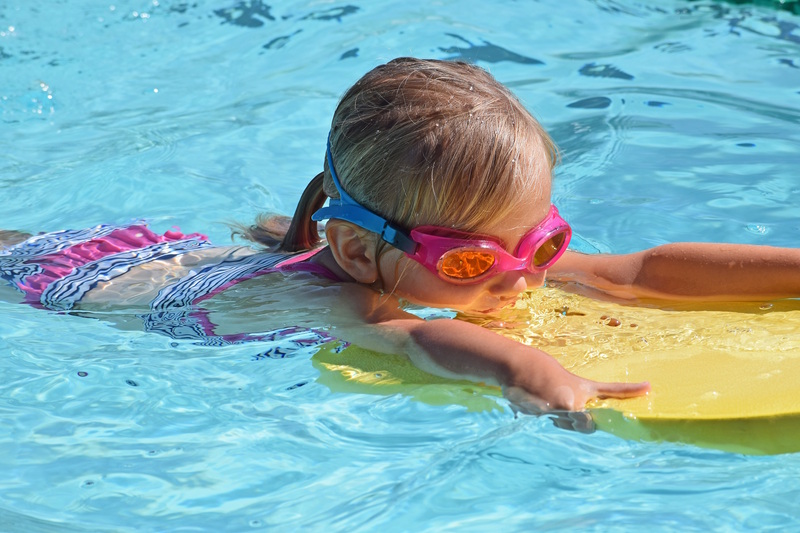 In order to protect and ensure the safety of all our members, YMCA of the USA and our Insurance Company will now require us to swim test anyone between the ages of 5 and 17. If you do not pass the swim test and the water is more than armpit deep, you will need to have a Coast Guard Approved Personal Floatation Device (PFD). If your child attends our swim lessons, Level 4 and above, and they are a full members, they will receive a band in class. They will also receive a band if they are on the MAKO Swim Team. You will only be allowed in the shallow end of the pool if you do not pass the swim test or forget your band. This level compliments the skills practiced in a swim team setting. Swimmers must be at a Level 5 to qualify for this class. Emphasis is placed on mastery of all strokes, flip turns and racing starts. A strong focus is placed on building endurance with proper stroke techniques and mechanics. 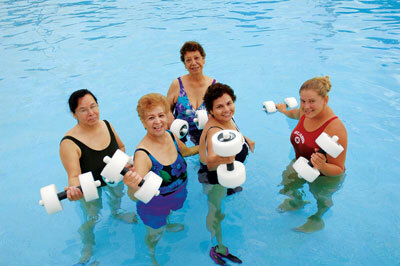 All participants must be able to swim, as the program will be in water 6 feet deep. Any age welcome. This level compliments the skills practiced in a swim team setting. 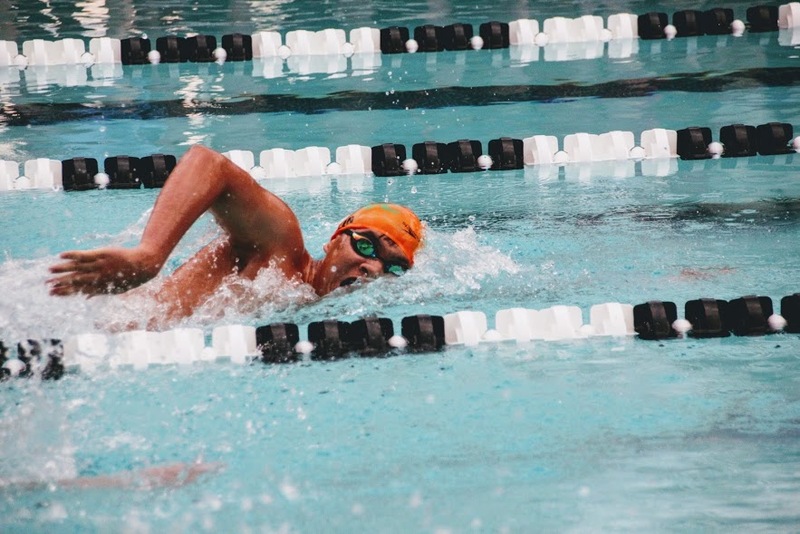 Whether you are a novice or an elite swimmer, our Masters program can improve your swimming skills. These coached sessions are designed to enhance your swimming skills, make you more efficient in the water, and increase your overall fitness level. All practices are held at the Youth Development & Aquatic Center (YDAC).